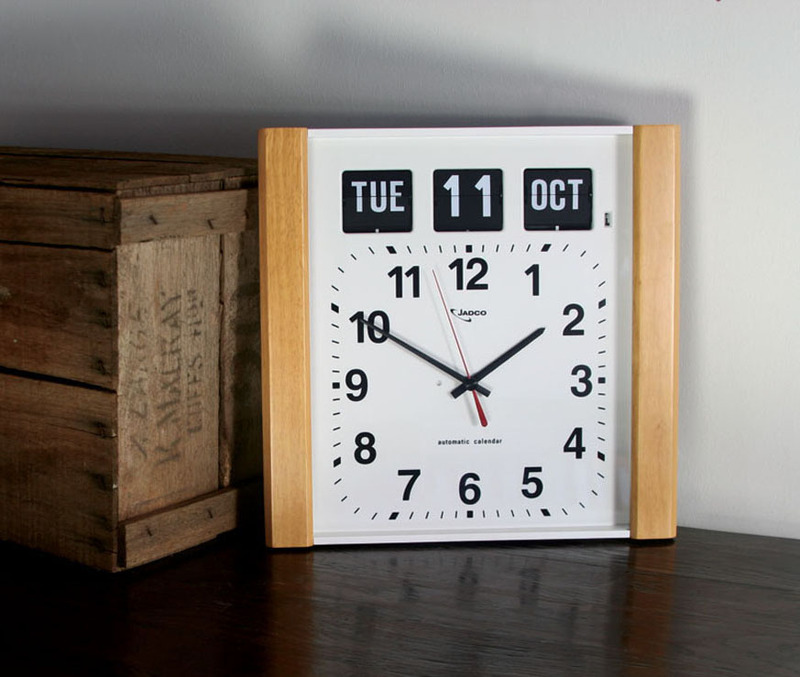 Category: Calendar Clocks. 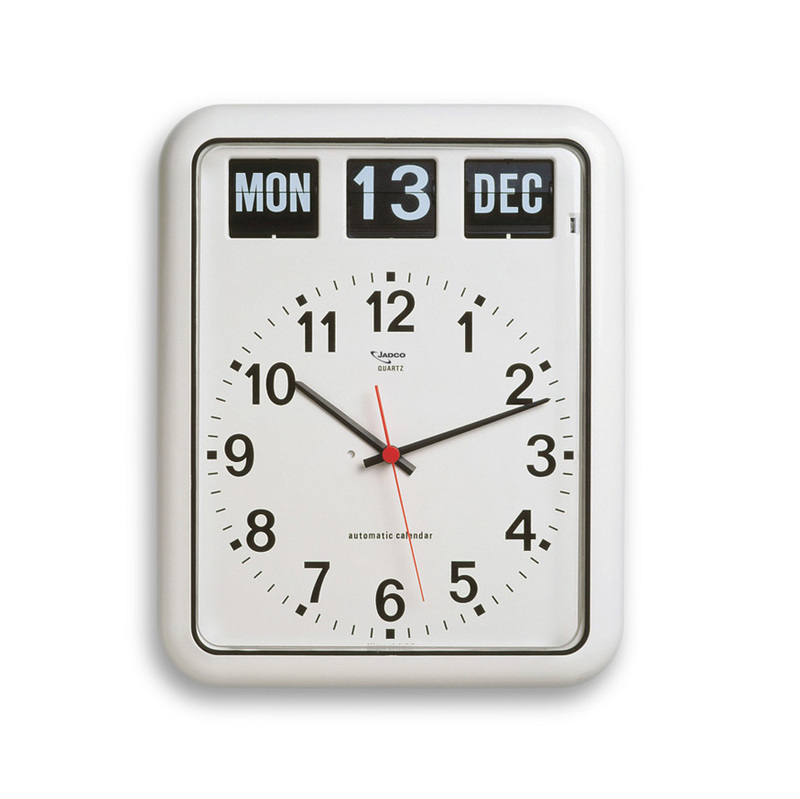 Tags: Analogue Clock with Automatic Calander, Calendar Clock, Designer Calendar Clock, Jadco Time Clock, Orientation Clock, Perpetual Calendar Clock. 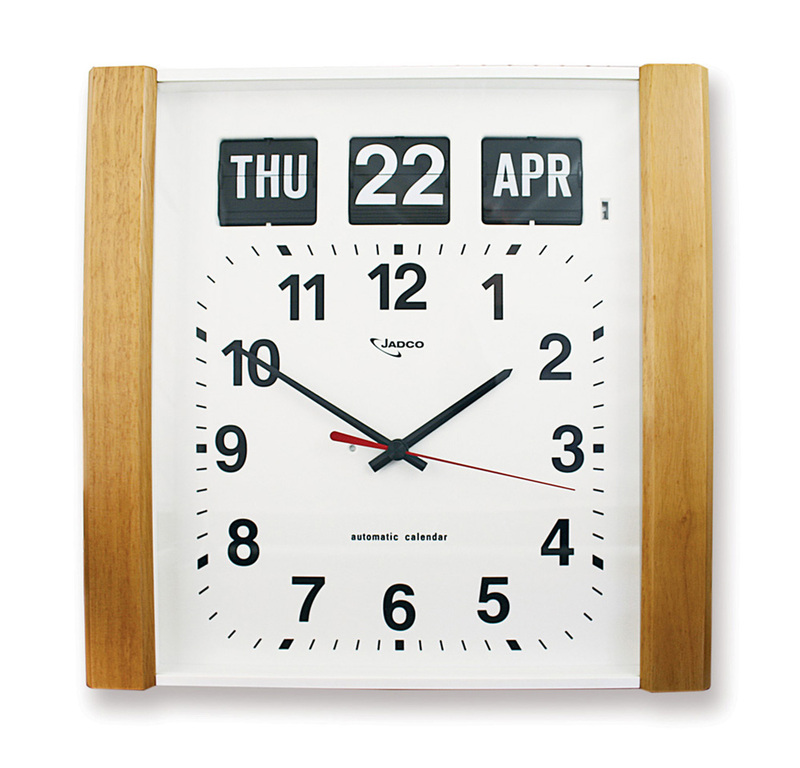 The BQ15 Calendar Wall Clock features a beech woodgrain-finish frame – a contemporary alternative to an all white case. A similar size and format to our popular BQ12 wall clock, this clock is ideally suited for interiors where it will be a focal point on the wall. 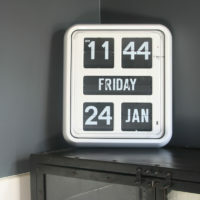 The face of the clock extends beyond the working mechanism, so when hung gives the appearance of “floating” off the wall. 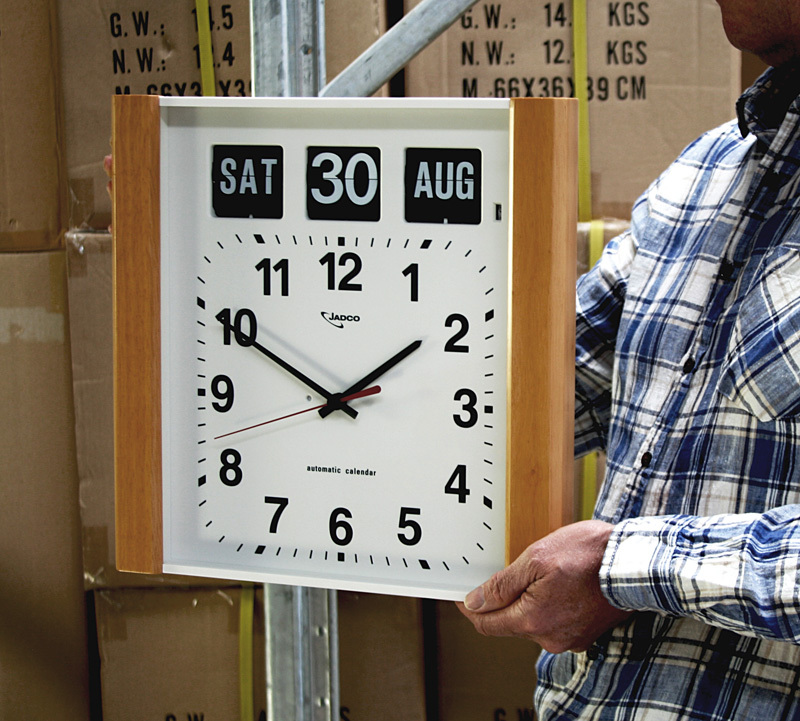 The 300mm analogue clock-face and day/date calendar that can easily be read up to 15 meters distance. The BQ15 incorporates a reliable German movement and an automatic calendar function that self-adjusts for leap years. The flip card display remains readable under fluorescent lighting, unlike many LCD clocks.